"I kept waiting for a ball to be hit to me and finally in the (eighth) inning I got one," Johnny Damon said. "It was a pretty easy day for me." Pitching coach Ron Guidry believes Wang, who also improved to 10-2 at the Stadium this season, "has just as good a chance (to win the award) as anyone with what he's done." 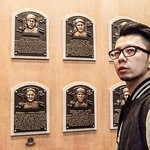 Wang might not win the American League Cy Young award, but with his record, his 3.66 earned run average and his team-leading 187 innings pitched, he is in the conversation. It is quite a leap for a pitcher in his first full major league season. Wang (16-5) might end up being the Cy Young Award winner. He's tied for the major-league lead in wins with Toronto's Roy Halladay. 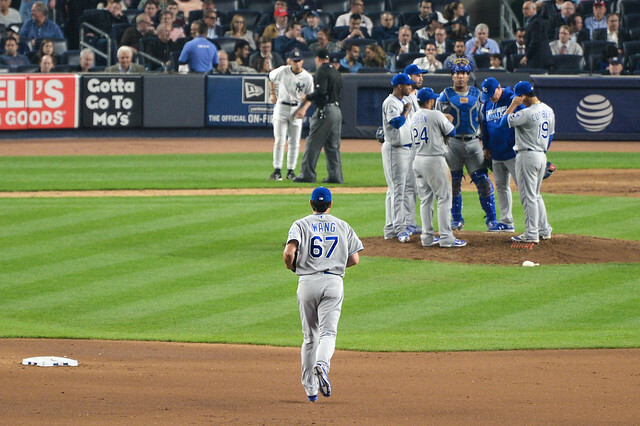 The 26-year-old won for the eighth time in nine decisions and improved to 10-2 at Yankee Stadium. He lowered his ERA to 3.66, within the top 10 league leaders. "I try to get a win. I never look at the stats. I just pitch. I never think of that."